You are looking at the City Ramp Garage. 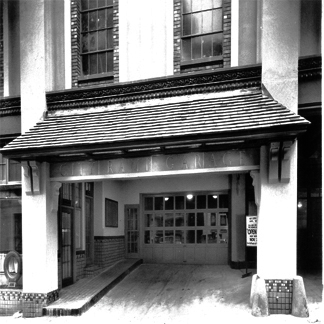 Built in 1928, this structure represents many firsts in Spokane history. 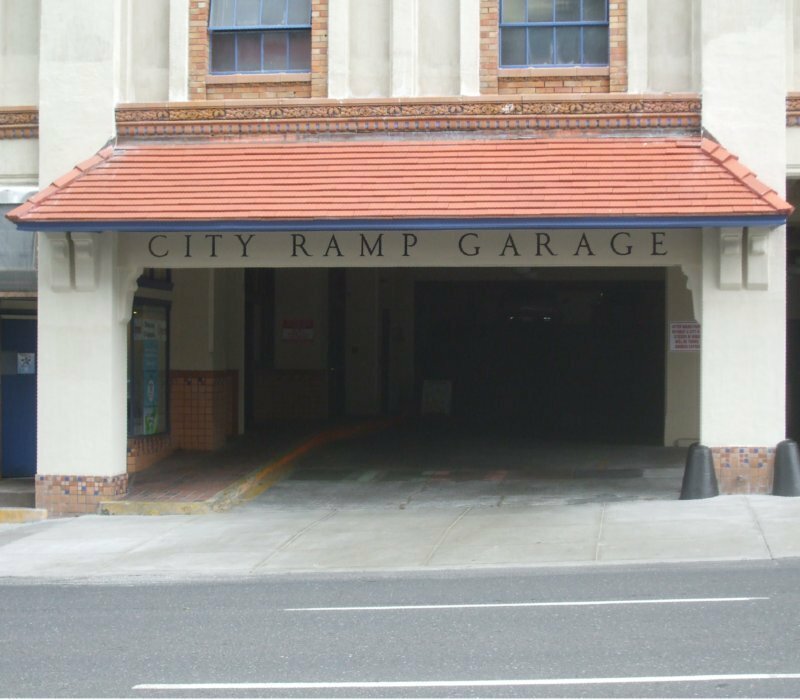 It was Spokane's first mulit-level, staggered-floor, ramp-type parking garage. 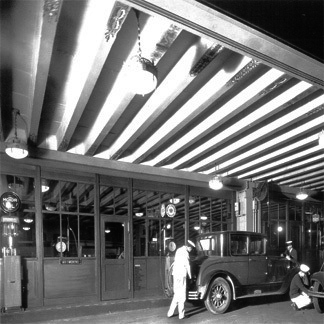 At the time of its construction, parking for private automobiles had become a growing problem in the city. It was also the first time in that local business owners had joined together to provide parking for costumers. 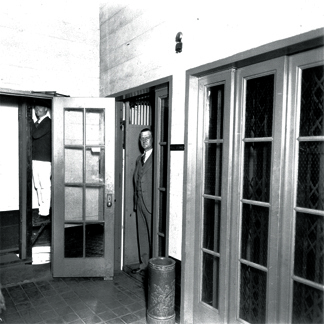 The owners of the Paulsen Estate, Levi Hutton Estate, and the Old National Bank embarked on this joint enterprise. 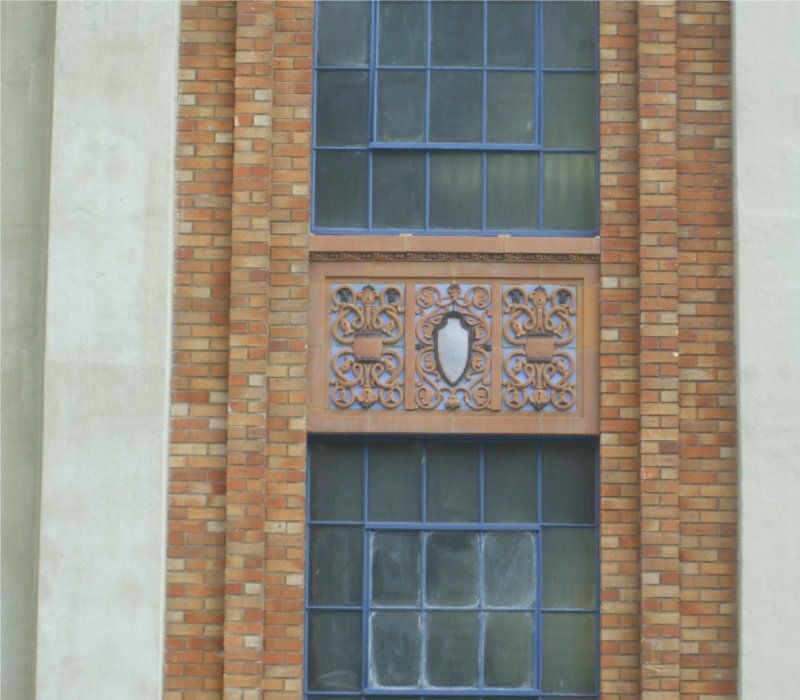 Because they owned the buildings around it, these men invested a large amount of money to make the building look nice. 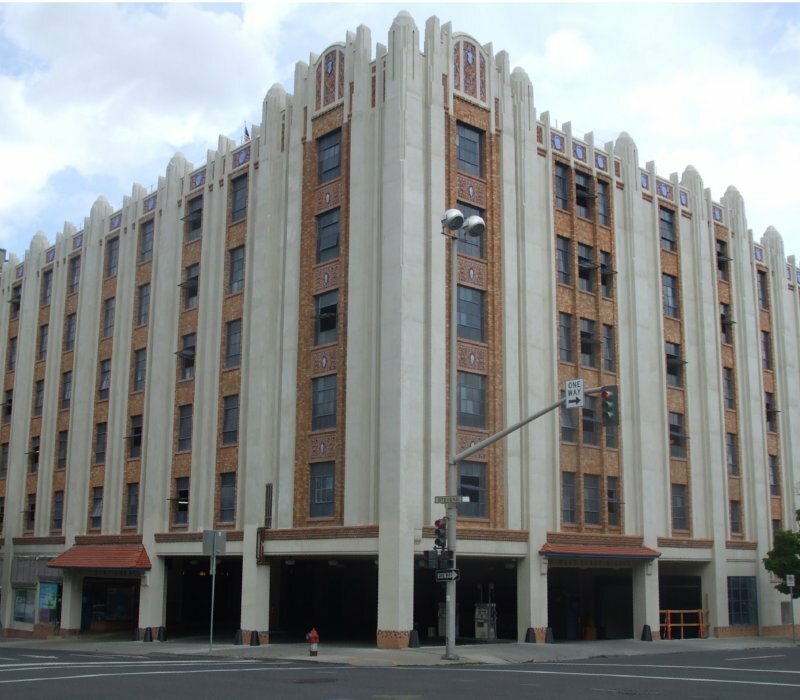 It was designed using the Art Deco style and was the first building in Spokane of this style. 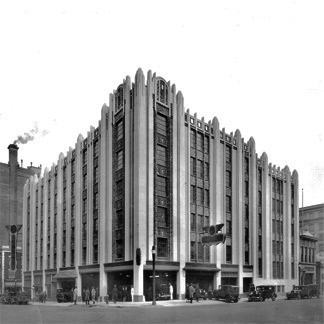 It was constructed using the slip-form method of concrete construction and was the also the first building in Spokane to be built this way. 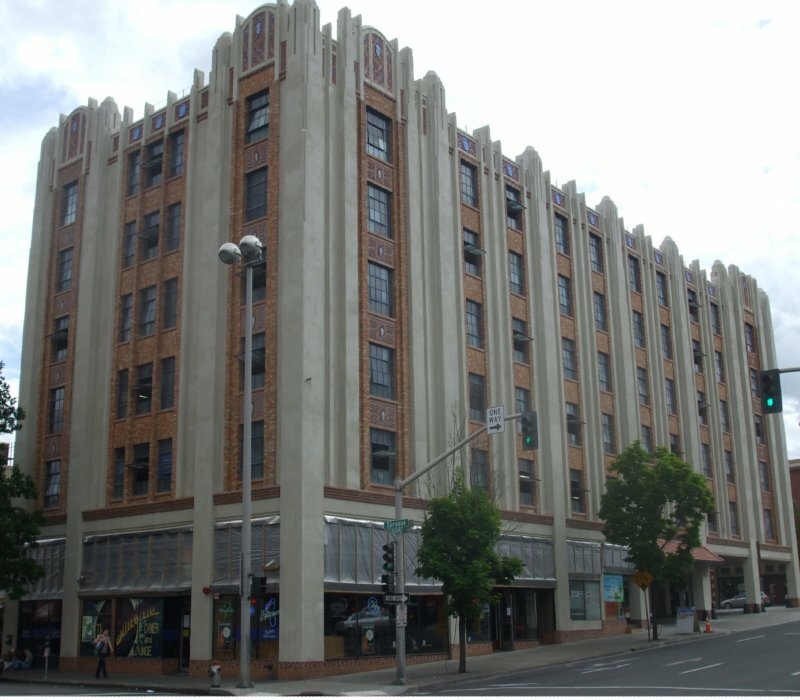 The building was designed by the prominent Spokane architectural firm, Whitehous & Price. Harold Whitehouse is known for designing St. John's Episcopal Cathedral, that adorns Spokane's South Hill. The building is six stories tall and a basement, and is designed to hold more than 350 vehicles. It was constructed using fireproof reinforced concrete and has an L shape. The exterior has undergone almost no modification and the interior has only undergone minor changes. There are 6 commercial bays at street level. These have been extensively modified over the years as businesses have come and gone, however, this has had little effect on the architectural integrity of the building. Main entrance : Courtesy of page creator, taken â€ŽJune 9, â€Ž2012. Southwest corner: Courtesy of page creator, taken â€ŽJune 9, â€Ž2012. Northwest corner: Courtesy of page creator, taken â€ŽJune 9, â€Ž2012. Art Deco detailing : Courtesy of page creator, taken â€ŽJune 9, â€Ž2012. 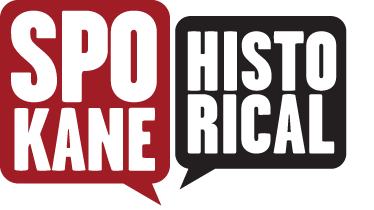 Jesse Roberts , “City Ramp Garage,” Spokane Historical, accessed April 24, 2019, https://spokanehistorical.org/items/show/182.